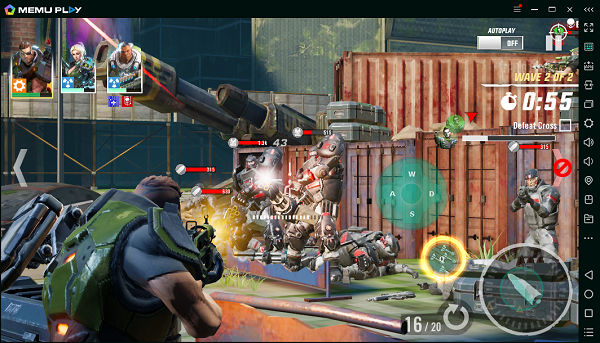 From Canadian powerhouse game developers Hothead games, makers of the hit “Big Win” sports series as well as the popular card collecting strategy game Mighty Battles comes Hero Hunters, an epic third person shooter! Hero Hunters is a team-based third-person shooter game. With over 40 different heroes available, players select a squad of up to five members as they tap on character icons to jump to their point of view and fight as them. As each hero has different skills and abilities players need to know the character type and time their taps as they jump to and fro heroes to either sniper out headshots, provide cover as a tank, open up tactical assaults and more! With MEmu Player – the leading Android Emulator, you can experience the fast-pace action and powerful attacks on the larger screen of your laptop or computer. Additionally, you can set keyboard shortcuts for various weapons using the “keymapping” features! 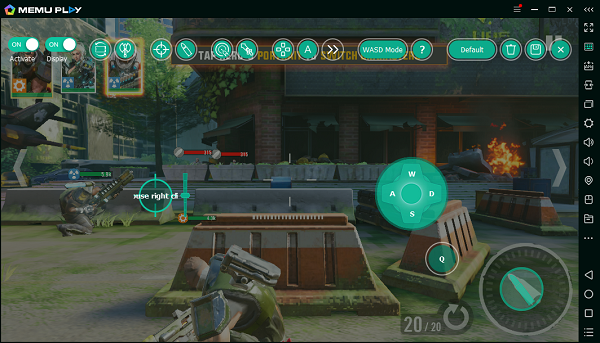 For example, you put crosshair to aim on the left side of the screen, and put WASD on the right to duck down behind cover or run to new shelter. The most important is to set Direct X graphic render in Memuplay because Hero Hunters requires EGL 3.0. I recommend playing Hero Hunters on PC using MEmu Player. If you haven’t downloaded already, please install it here. Once installed you will see it on your home screen list of apps. Simply open it and the first launch will begin to download game resources. Once complete you will able to play Hero Hunters on your computer!